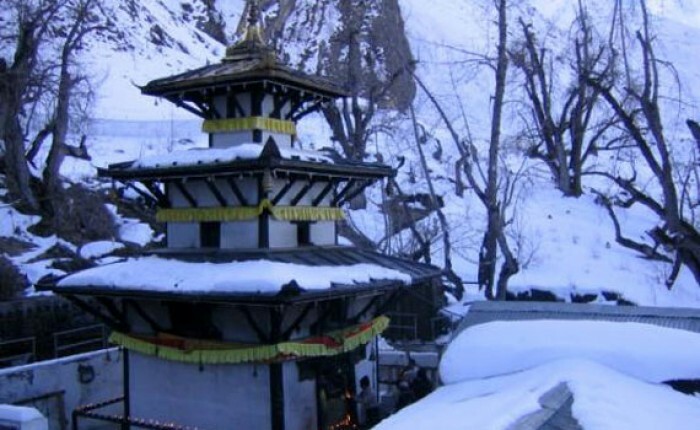 Muktinath – Sacred place for Hindus and Buddhists. 108 taps which are believed to carry away ones all bad deeds. Great views of high mountains. Our Muktinath short tour is just 3 days holy temple darshan package starts and ends at Kathmandu. For those who are limited by time but want to visit the holy temple of Lord Vishnu, this short tour package to Muktinath is best selection. Our 3 days Muktinath temple yatra starts by a mountain flight to Pokhara from Kathmandu. The remaining time is free for sightseeing of the beautiful lake city Pokhara. You will enjoy the night at hotel in Pokhara. Early morning we will transfer by car to Pokhara airport to catch the flight to Jomsom. After landing at Jomsom airport, we walk to catch as sharing jeep to Muktinath temple. After worship and bathing in 108 taps, we return back to Jomsom by Jeep. Our night will spend at Jomsom area. Early morning we will catch a flight to Pokhara and fly back to Kathmandu by Pokhara-Kathmandu flight on same day. This short tour to Muktinath temple is perfectly designed for time bounded visitors offers magnificent views of mountains, holy visit of Muktinath temple and jeep ride in the mountain area of Nepal. This tour is possible all year around in favorable weather condition. Note: To reduce cost, Kathmandu to Pokhara and Pokhara to Kathmandu travel can be done by private car which is cheaper for groups. But it takes about 6 hours overland ride. Accommodation in BB (Bed and Breakfast) plan. Any other expenses not mentioned in cost include section. Drive to Pokhara airport by car for Jomsom flight, after 25 minutes flight you will landed on Jomsom airport where our representative will receive you and escorts you to the hotel. After refreshment, you will ride as sharing jeep to reach Muktinath temple. Visit the holy temple, take a bath in 108 taps to carried away all your sins and start your religious activities like pooja and aradhana. After over of religious activities start to explore around its surrounding. Explore Kunda, Jwala mai Temple, Gomba Samba, Swaminarayan, Shaligram drive back to Jomsom, Late Lunch Overnight at stay in a hotel with dinner. Early morning take a flight to Pokhara from Jomsom airport. Take a flight to Kathmandu to return Kathmandu within 30 minutes flight or drive by private car to Kathmandu, visit the Manakamana devi temple on the way by riding cable car and drive back to Kathmandu, for all these we need 10 hours. You will transfer to your hotel in Kathmandu for overnight stay.